As CME of the Mineral Valleys Railway I was dispatched to Peterborough in 2016 to view a second-hand diesel loco. The purchase ultimately fell through when the bank thought I had already spent enough at the AGM, so I returned to the railway empty handed . 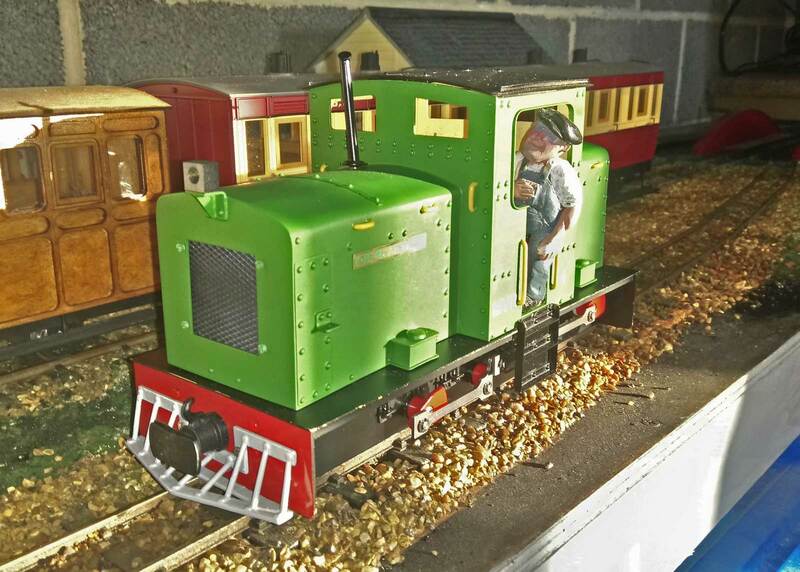 There was no option but to investigate the possibility of the company building its own loco. 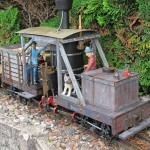 This was not a new venture, as the works already had a steam loco nearing completion. 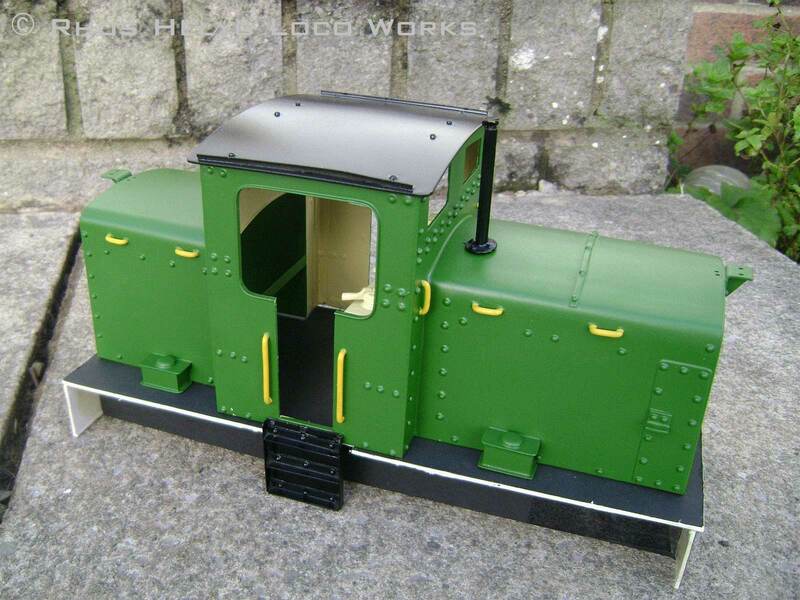 A quick scan of manufacturers’ catalogues (ok… Google images) turned up some possibilities and a design for a six coupled loco with centre cab from J Fowler seemed to fit the brief. 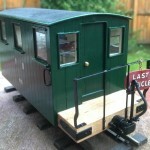 Normally the design would commence with the chassis, however another catalogue search turned up a proprietary chassis from Roger Hine at Friog Railway Services. After some discussion, a few design changes were discussed and an order placed. The prototype loco: Saurashtra Rly No. 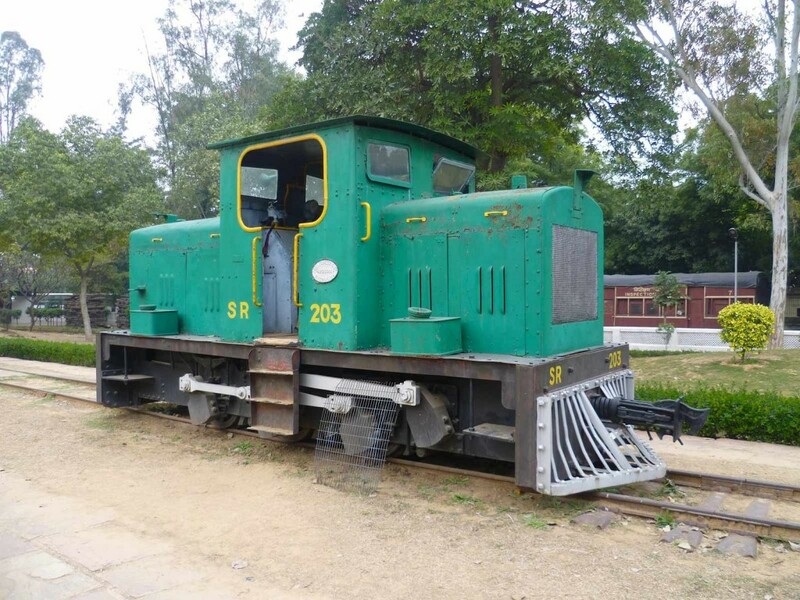 203, John Fowler 4200031/1949, preserved at the National Railway Museum, Delhi. Photo: Jacqueline Banerjee, used by kind permission. Whilst the chassis was under construction, design of the bodywork commenced in house. Extensive use was made of the most modern design tools in the works drawing office, especially CAD, cardboard aided design. A shell was mocked up to check sizes etc. – this was a gamble as it had to fit on a chassis that was being built 260 miles away! 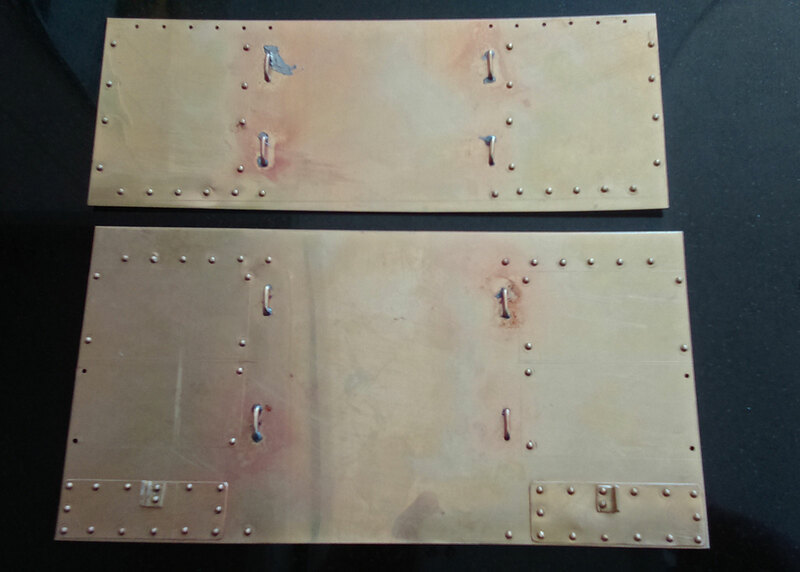 Lots of rivets – body panelling under construction. The CAD model was transferred to more modern CAD and printed out to form paper templates of the bodywork, including the positions of the rivets. 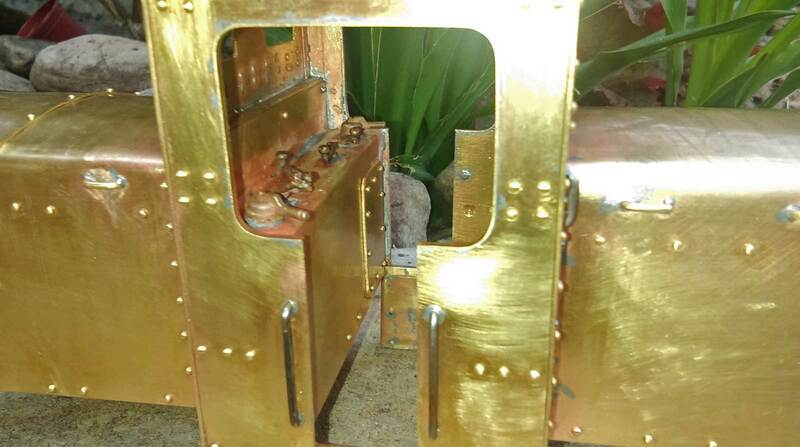 The panels were then cut out of 0.7mm brass and a stupid number of holes drilled for the rivets. The panels were then assembled using a combination of soft soldered joints, and riveted corners with 3mm brass angle for reinforcement. The driver controls were supplied by Swift Sixteen. 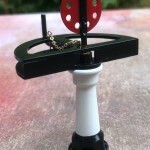 Several details were fashioned out of brass e.g. the sandboxes, cab steps and exhaust pipe. The roof was rolled from brass sheet with small steel sections riveted to the underside. These align with small magnets epoxied into the cab side panels. 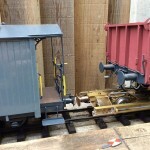 The painting of the bodywork was outsourced to Rhos Helyg Locomotive Works, and the bodyshell was dispatched to Wales just as the chassis was making the opposite journey north! The electronics were sourced from Chuffed 2 Bits. The chassis arrived and it soon became apparent that there was a problem. The design specification was for full radio control with sound and working lights; I had underestimated the size and complexity of the components, especially the large speaker and wiring loom for the electronics, and suddenly found that it wouldn’t all fit under the two bonnets! After quite a bit of cursing (mainly directed at the bank that had blocked the payment for a nice ready to run example!) it was all squeezed in, except the speaker and receiver which now live in the cab. The completed and painted bodywork, ready for final assembly. Running trials proved successful and the loco is now a firm favourite with crews due to its performance and cabin comfort. 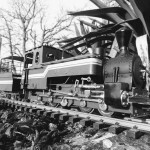 The loco was named Charles Parsons, in line with company policy, and takes its place in the roster alongside Sir Alec Issigonis and William Armstrong. The works have now been tidied up ready for the arrival of the laser cut frames for the second steam build, Ove Arup. What a business-like-looking locomotive! 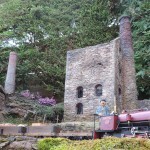 I would be very proud to call it mine – it’s a credit to the builder, to Mike Derby and to Rhos Helyg Locomotive Works; all-in-all, a great pice of craftsmanship.